The first thing I assume when someone says import, viagra is that they want to legally import and be able to drive a car. Anything can be temporarily imported, but has to be exported within a certain amount of time. All eligibility numbers are for left-hand drive motor vehicles except where the initials “RHD,” signifying right-hand drive, appear in the model type column. While there is no specific restriction on importing a right-hand drive vehicle, these may not be imported under eligibility decisions based on the existence of substantially similar U.S.-certified left-hand drive vehicles. Our experience has shown that the safety performance of right-hand drive vehicles is not necessarily the same as that of apparently similar left-hand drive vehicles offered for sale in this country. However, we will consider the vehicles “substantially similar” if the manufacturer advises us that the right-hand drive vehicle would perform the same as the U.S.-certified left-hand drive vehicle in dynamic crash tests. Absent such a showing, the RI would have to demonstrate (through a petition) that the vehicle, when modified, would comply with all applicable Federal motor vehicle safety standards, including those for which dynamic crash testing is prescribed. 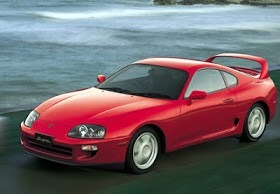 Since the Supra was first mass produced starting in April 1993, it will be over 21 years old and EPA exempt in 2014. Over 25 years old and NHTSA exempt in 2018. FOR SALE? Where are all the good Supras? Has anyone else noticed a trend lately? Over the past year or two I’ve failed to see many highly desirable Supras for sale on the market. Desirable to you may be one set of criteria, but for me, it’s low miles, clean, accident free and tastefully modded (if any mods at all). In the past year, I’ve seen maybe a handful (less than 10) that fit this criteria. Low miles (under 40,000), extremely clean, well maintained, minor (or tasteful) modifications. What do you think is the cause for this? Am I not looking in the right places? Are people with these cars keeping them hoping they will appreciate in value? Are people keeping these cars and enjoying them and aren’t eager to sell? Are these owners modding their cars? Are there just not that many left out there that fit what I am looking for? A few years ago, it seemed that you could find any Supra you wanted, with a minor search and a few weeks of patience. Has the supply of clean low mile Supras dried up? Or are the owners just not eager to sell?